At the apex of both family-friendly practicality and high-end style sits the Buick brand, and drivers from Grand Blanc to Flushing can check out the latest Buick SUVs at Patsy Lou Buick GMC. Long-praised for their elegance, comfort, and power, Buick SUVs represent a high standard of quality in the industry. Whether you’re looking for a svelte compact or a spacious mid-size, you’ll find everything you’d want in these elegant vehicles. No matter which Buick SUV you drive, you can count on a sleek, attractive chassis that will turn heads wherever you drive. “Lithe” is the watch word here, with the capacious 2016 Buick Enclave cutting a slender figure, thanks to its chrome accents and exterior LED lighting. Meanwhile, the 2017 Buick Encore sports a sculpted look, with horizontal wings and a beautiful grille to go along with the modern Buick tri-color insignia. All of this is heightened by available technology and features, such as the optional moonroof and automated RainSense wiper system in the 2016 Buick Encore. Buick SUVs announce their quality from the minute you sit in the driver’s seat, starting with premium materials like leather seating, comforting wood tones, and modern chrome accents coming together to create a truly luxurious cabin. On top of that, each model brings its own unique design flourishes to the table: the compact 2016 Encore offers dual-zone climate controls to keep everyone comfortable, while the larger 2016 Enclave has a low and open dashboard to accentuate its spacious feel. 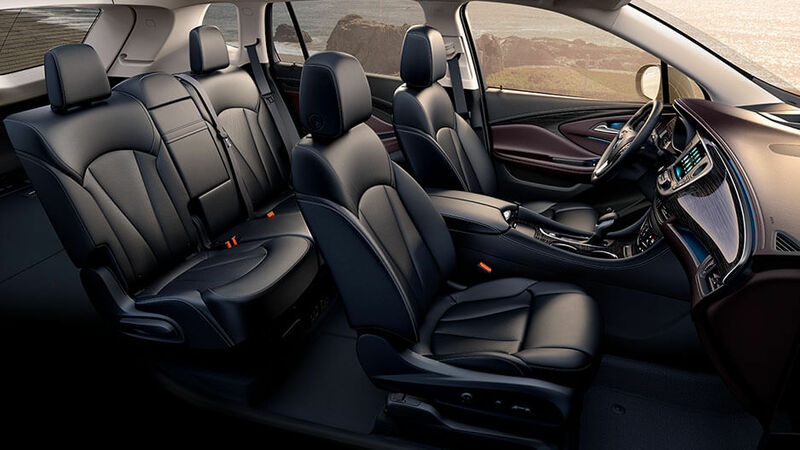 The upcoming 2017 Envision, meanwhile, offers unparalleled comfort controls for its second row seat, allowing passengers to adjust the seatbacks and floor space to whatever they like. 4G Wi-Fi Capability: Wherever your travels take you, you can stay connected to the world with this available 4G hotspot, which is powerful enough to support up to seven devices as far as 20 feet away from your vehicle. Surround Vision: You can’t see the entire road at once, but your Buick SUV can, thanks to this new system that monitors 360 degrees around you vehicle to minimize your blind spots and help you avoid collisions, whether you’re navigating traffic or maneuvering into an especially tight parking spot. 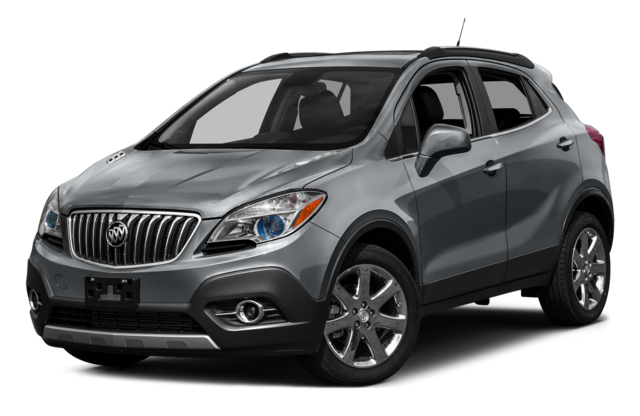 2016 Buick Encore: Drivers looking for a sleek, flexible experience in their SUV will find everything they want in this elegant compact. Its available all-wheel drive mode ensures that you can tackle city streets and country trails with equal aplomb, while the 1.4L turbocharged engine delivers ample power at a remarkable fuel efficiency rating of 33 mpg/hwy. 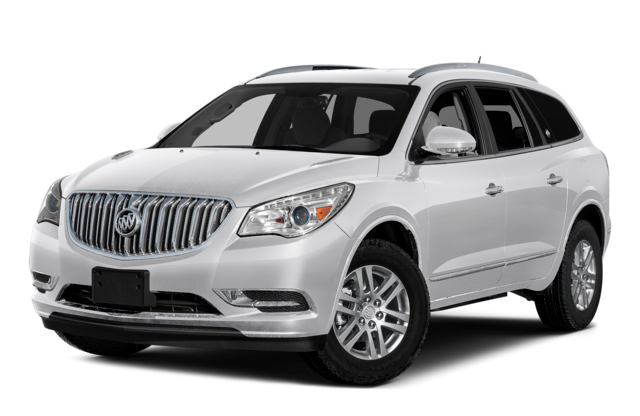 2016 Buick Enclave: This breakthrough crossover SUV offers unparalleled functionality to families seeking a comfortable ride without sacrificing space or power. The Enclave offers first-class seating arrangements for up to eight people for all your carpooling needs and plenty of cargo room for moving day or long vacations. On top of that, its 288hp 3.6L V6 engine delivers plenty of power for when you need it most. 2017 Buick Envision: Brand new for the coming season, this luxury crossover marries power and style in a thoroughly modern way, featuring a spacious interior, driver-centric technology (like intelligent all-wheel drive and an available heated steering wheel), and a powerful 2.0L Ecotec turbo engine. 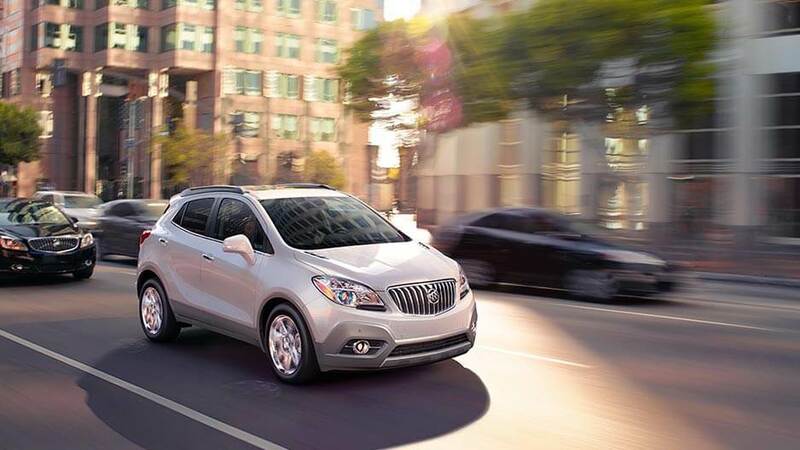 And keep an eye out for the 2017 Buick Encore, which brings a host of changes and is due for release soon. The style and substance present in the latest Buick SUVs are truly unbeatable, but don’t take our word for it. Come to Patsy Lou Buick GMC today and take one for a spin. We’re located at G-5111 Corunna Road Flint, MI, just a short trip from Grand Blanc and Flushing. And if you have any questions or want to know about the deals we have to offer, contact us online or give us a call at (810) 732-7500.